Canine Partners were delighted to welcome three willing volunteers from corporate supporter Purina to their Southern Centre near Midhurst in West Sussex. As part of Purina’s ongoing support for the Charity, staff are given time out of the office to volunteer for a day. 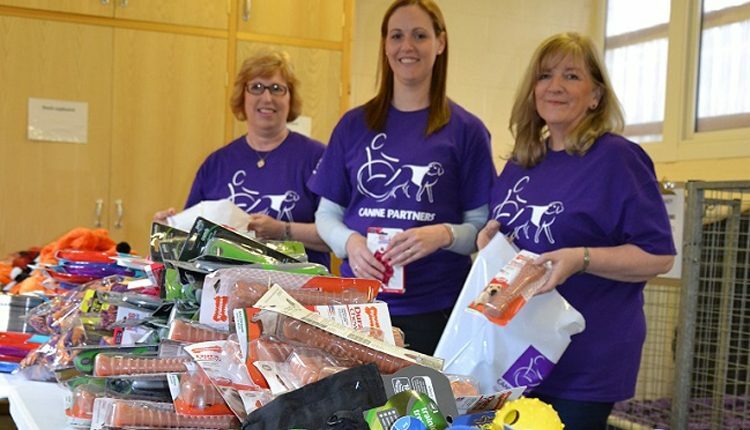 Three members of staff from Purina’s Gatwick offices arrived bright and early at Canine Partners’ rural training centre where they were soon helping out by welcoming over 100 visitors attending one of the Charity’s regular Open Days. The visitors were given a demonstration of the skills and training of a canine partner and they also heard from someone with a canine partner who told them how much of a difference their dog has made to their quality of life. The mammoth job of helping to fulfil a large puppy sponsorship mail-out was next on the agenda. Special packs had to be assembled with a variety of components to be sent out to the Charity’s regular givers who each ‘adopt’ a puppy for £52 a year. Canine Partners fulfils these large mailings in-house, which is very time-consuming, so having volunteers help to take on this responsibility not only helps Canine Partners to bring in more valuable funding for training dogs, but also gives the staff more time to work on attracting new supporters. After a quick lunch, the Purina volunteers moved onto the fun task of making up special packs that the new partners get to take with them when they first go home with their dog after completing the residential course. Canine Partners has been very fortunate to receive a large donation of brand new dog toys, beds and training aids from a large national retailer. Every partnership now takes home a range of products for everything from feeding their dog to playing with them indoors and out. The volunteers worked tirelessly to assemble packs for over 40 people to take home. Purina volunteers were given the chance to see behind the scenes on a busy working day at our Southern Centre. They made a valuable contribution to the ongoing requirements to keep raising awareness and support for this valuable work training dogs for people with physical disabilities. A great day’s work for all. 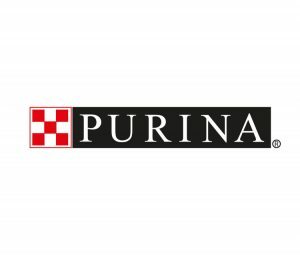 For further information about Purina UK, visit www.purina.co.uk.